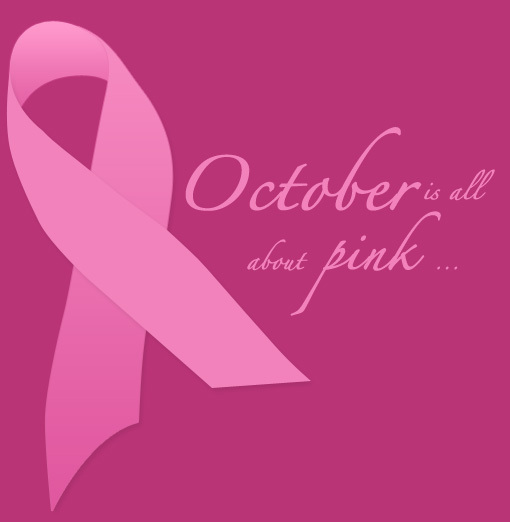 I’m sure that many of you know that October is Breast Cancer Awareness month. Breast cancer has affected my family and friends. This disease doesn’t care about your race, hair, the amount of money you have in your bank account or anything else. It affects all of us and the faster we find a cure, the fewer of us will lose our lives or the lives of our mothers, sisters, daughters, aunties, grandmothers, cousins and friends. I’m walking in the CIBC Run for the Cure on October 3 to support my friend who lost her big sister to breast cancer last week. I’m also running for my family members who either lost their lives or were touched by cancer. I’m running for my unborn daughters who will have to monitor themselves regularly for breast cancers and I’m running for all the women and girls I love. So, walk, run or donate. If you’re in Canada, visit the Canadian Breast Cancer Foundation’s site to donate or participate. If you’re based in another country, visit your local cancer association’s website to find out how you can make a difference. As they say in the ads, let’s make cancer history! Previous Post Happy second nappyversary to me! I looove this !!!! I have recently decided to do what i can also in the way of breast cancer, and all cancers. I wish I could be there. I plan to do my very first walk run in the way of breast cancer/cancer in the very near future. I will definitely walk (girl! I’m in no shape to run) for you mom, your daughters’ grandmother and your father. I’ve wanted to walk for so long, but it’s so easy to push it off for another time. That time is October 3! They will be in my heart when we hit the pavement. Thumbs up and a HUGE hug to you Sis in support of such a great cause!